We are leading provider of conductive ink . Our company has been successful in winning appreciation from the clients as one of the most prominent names in the trading of Conductive Inks. The right bandmarking House wire inks and Electrical wire ink for any substrate or environment. At Gem, we are committed to serving all customers with solutions for their wire and cable marking needs. From wire & cable to data matrix codes for pharmaceutical packaging, Gem can offer the right technology and the right ink. 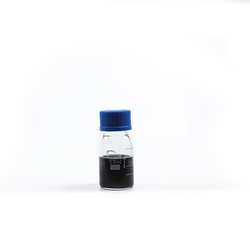 Semicon is a silver based conductive ink. Semicon will form a link between defective areas in the printed circuit. Semicon will dry in minutes and give instant conductivity. Before applying the ink, it should be cleaned with cotton and shaken the ink vigorously in 10 to 15 seconds. Our reputed entity is engaged in supplying Conductive inks. Our company has been successful in winning appreciation from the clients as one of the most prominent names in the trading of Conductive Ink. 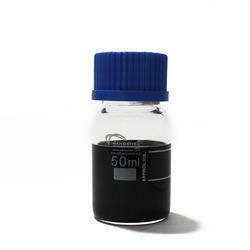 We are engaged in offering Conductive Inks. Banking on our enriched industry experience, we are able to supply Silver Conductive Inks. We are a top notch supplier of Conductive Inks. We are offering Conductive Inks. Our range is highly in appreciation across the leading market sectors due to their fast drying properties and long lasting quality. In order to maintain the quality parameters of the entire range, our vendor use superior quality chemical.